In the two weeks since South Korea completed its Overwatch World Cup three-peat, the Overwatch community came together to analyze some of the stunning matches using the World Cup Viewer, which was tested out during BlizzCon. Some focused on the United Kingdom’s upset of Team USA, while others dissected Korea’s incredible ability to absorb their opponents’ strategies and counter them. If there was one drawback to this surge in content, it was the near-impossibility of watching all the hours upon hours of streams that the community produced. There were hilarious mistakes, hype plays, and “why couldn’t I just kill Jjonak” moments, but it was impossible to catch them all live. I didn’t catch them all either, but I did my best to hunt down some of the best. 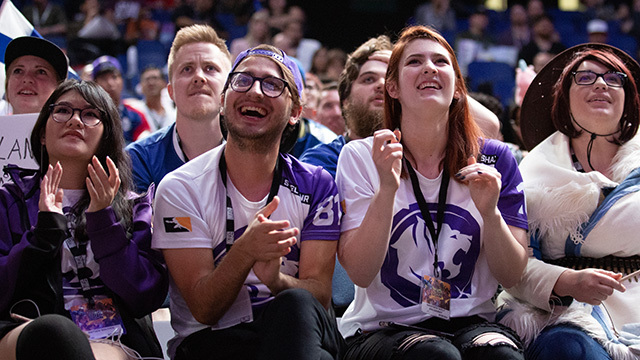 Here’s a sampling of great clips from reviews powered by the Overwatch World Cup Viewer, so that you can relive the magic one more time. Heading into the Overwatch World Cup at BlizzCon, there was much discussion about which D.Va player was superior in a potential USA vs. South Korea matchup: Indy “Space” Halpern or Jun-Ho “Fury” Kim. While the USA fell short of reaching the semifinals, it was the analysis of Fury’s play style that seemed to leave little doubt in the public’s mind which D.Va towered above the rest. Both of these players are known for their ability to chow down on big enemy ultimates, but something about Fury’s preternatural game sense made people question reality. Anyone watching Fury’s POV cam would have the same reaction as Fissure. Coming into the Overwatch World Cup, he was the hardest-to-kill D.Va in teamfights: he took the least damage and died the least within that context. But how does he do that? Chinese fans on the NGA forums were able to find some quirks in Fury’s playstyle that could explain his ability to create space while taking less damage than other D.Vas. Not only does this swivel move hide Fury’s massive head hitbox from opposing DPS heroes, it also saves precious Defense Matrix time for more important things—like keeping Seong-Hyun “Jjonak” Bang alive. Game sense is something that Overwatch fans love to see and dropping a Barrier Projector at the exact right position and time to block an Earthshatter is routine for xQc. On that play, he once again showed how underrated Winston’s kit can be. Not only did Kruise dodge the enemy Earthshatter by riding high on the wall, but he knocked all of UK’s would-be damagers off the platform, freeing Fusions to block Fury’s D.Va bomb. No wonder Byung-Sun “Fleta” Kim and Fury both picked Kruise as the player “who caused them the most suffering” in their own VOD review. That’s difference between a professional Zenyatta and you or me: Boombox reacted fast enough to trigger Transcendence before the Earthshatter caught him, allowing him to dodge the Self-Destruct that Fusions would later block, instead of dying while stunned out in the open. Note that Trill receives a Nano Boost as he jumps in, so there’s no way that at least one of Korea’s supports wouldn’t have died if they didn’t perform the healer dance. During the regular season, head coach Hyeon-Sang “Pavane” Yoo and the NYXL spent less time in scrims than other teams, opting to focus on film study and focus on small but important fundamentals like this. It’s not surprising to see two of his NYXL proteges be just as difficult to eliminate on the Overwatch World Cup stage. Why can’t anyone take out Jjonak? Thanks to Trill, now we know. These were just a few highlights that I was able to cobble together, but there were far more to be found—and not just from western players. Former Overwatch League player Brandon “Seagull” Larned led a very amusing review of USA vs. Canada, where he played a game of “count the Qs” to predict who would win teamfights based on ultimate usage. Molly “Avalla” Kim—an assistant coach for Washington, DC—broke down several of Korea’s matches in Korean, as did Anamo, Fury, and Fleta. Team Spain’s Daniel “Dhak” Martinez reviewed Kruise’s Lúcio play, and then Kruise reviewed his own play as well as Dhak’s review of his play—the content was seemingly endless. Perhaps you can add your own review to the Overwatch World Cup Viewer library. Can you find an awesome play that the community missed? I can’t wait to find out.